Google’s local search (Google Places) is about to be rolled into Google+ and will be known as Google+ Local. Google Places regularly make changes but this is likely to be the biggest change for Google’s local search yet. If you haven’t already set up a Google+ business page get one set up now. For those of you who have already set up a Google+ business page, your listing from Google Places should already be showing up on Google+. 1. Go to Google Plus. If you already claimed and optimised your listing on Google Places, you should see everything on your new Google+ Local listing. If you haven’t already claimed your business listing you will see this button. Click “Manage this page” and you will now be able to optimise and verify your listing. If this button isn’t there don’t worry. Google still hasn’t released this to everyone yet and you may have to try again another time. Again nothing at the minute, you still manage all of your business information through Google Places but we are sure in time everything will move across to Google+ Local. So make sure you are prepared for this big change to local search. 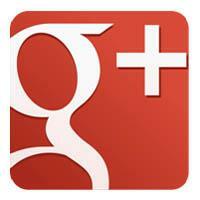 If you want to learn more about Google+ Local click here.